Enter the name you want on item. For logo or image please text me. Thank you! Standart delivery price UPS Express all over the world. Delivery time USA and Canada 2 business days,EU countries and UK 2 business days,AU 3 business days. Other country 3-5 business days. This roll case made with soft and durable cowhide leather. The smart design will helps you to be organized. You can sorting your pensils and pens by the pockets in it,so you will work systematic. Very easy to use and carry . By the roll shape the case can fit almost in every bag. You will be pleasured by toching this soft texture. The product ship from istanbul to worlwide.İn 1-3 business days will be ready to ship, Because i make products to order. Shipping to worldwide with UPS Express in 2-3 business days. Such a wonderful gift for any painter! very cool! it's been put to good use! Beautiful gift for my artist sister. Presently, we only accept PayPal payments. Please Note *** you can use your credit cards to pay through PayPal without needing to actually have a Paypal account. We will only ship to the address on the RECEIPT, no exceptions. Please make sure the address on the receipt is correct, including a legal name. No unregistered business names will be accepted. If you need to change the shipping address after checkout, please contact us and we will assist to correct the order. If you are unsatisfied with your purchase, please contact with me within 7 days and I will be happy to exchange your item, refunds not accepted for this time. There might be small differences in colors of products because of monitor settings. 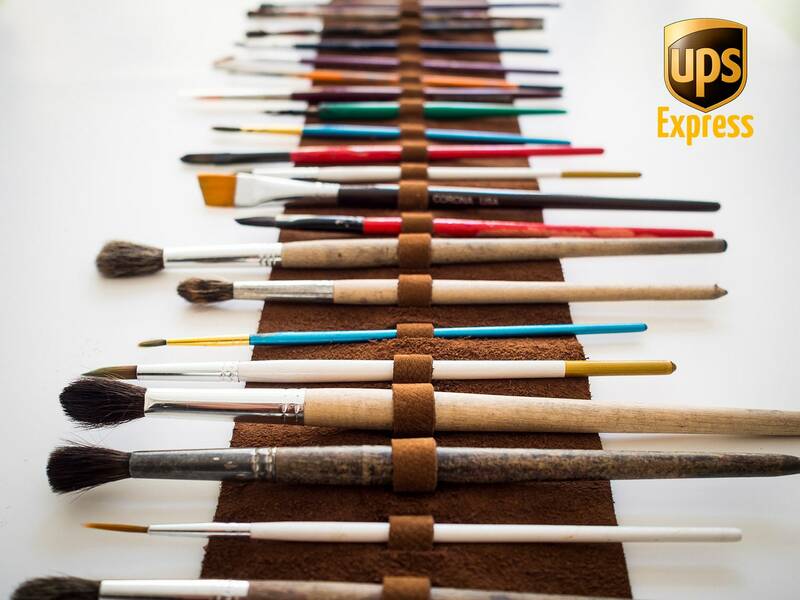 All products are available with UPS all over the world at the standard delivery price. Delivery time US and Canada 2 business days, EU countries and UK 2 business days, AU 3 business days. Additional Information adult signature required.